An immersive and ethnographic inquiry into why some Veterans elect not to use the VA for healthcare, resulting in findings and strategic direction for VA. Context: Institutionally, VA's knowledge of veterans who don’t elect to use VA for the healthcare is quite limited. VA Secretary David Shulkin upon his nomination set a goal to reduce veteran suicide from (on average) 20 humans/day to zero. On average, 14 of these veterans who commit suicide daily are not enrolled in VA health care. Our team hit the road to speak with veterans from coast to coast who aren't enrolled in VA health care, to better understand their lives from the perspective of their military-civilian transition experience. We centered our understanding and analysis on how 4 areas changed over time: health, finances, relationships and career. 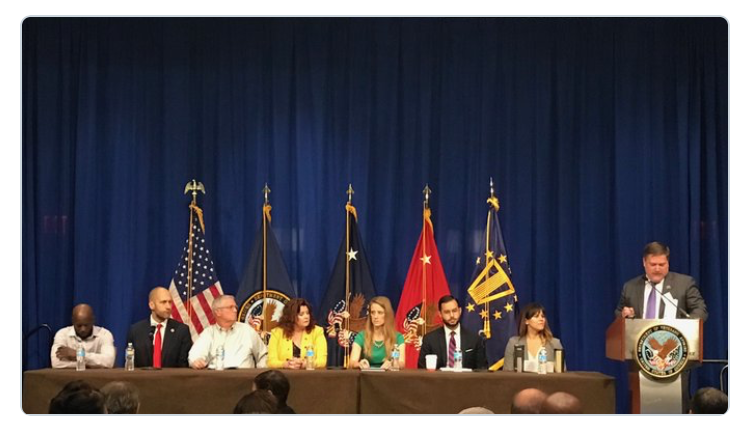 What emerged were four behavioral archetypes documenting their life eras over time, and consequent recommendations to guide VA employees on how, when, and in what language to serve veterans. The goal of creating this institutional knowledge is so that staff can more strategically forge community partnerships, better target our outreach and communication plans (both tone/language and timing) and use things like predictive analytics and risk profiles to know the most effective ways to reach out. Put into practice within outreach and marketing efforts at the Hawaii and New Orleans VA Medical Systems. For this person, transition ends when the pillar of their identity, being needed to support their family, is no longer their primary activity. Because the need to support their family is so high, they tend to have a relatively focused transition between military and civilian life, but then once those responsibilities (and built in social networks) subside, tend to find an emptiness that could benefit from additional support far later in life. This personality thrives off of being a leader and serving alongside like-minded teammates. The pain points that are inherent in their transition from military-civilian worlds are centered on not being able to find meaning or purpose in their civilian jobs. Being more assertive in nature, this type of person is likely to end up finding a job within which they can thrive, but tend to need the most support in the immediate months and years following transition. This is our highest risk veteran, who could most likely benefit from VA healthcare but can't bring themselves to grapple with the inefficiencies of the system. Tending to take life one decision at a time, and to be very open to the right kind of support, this persona could benefit from a tailored, customized set of recommendations from other veterans who are like them - or friends they trust. A number of veterans we spoke with transitioned into a military-esque career upon transition out of the service. Joining the reserves, a police force or securing a military contract, life for them maintains a similar hierarchy, structure and predictablity to it. Transition-related hardship, for this person, most likely comes upon retirement from their civilian career -- likely many decades after leaving the service.